The apple is the state fruit of Vermont and we are having one of the best years ever for apples. In the next few weeks we are going to be sharing with you some great apple recipes so that you can use all of those apples that you have in your yard or even the ones that you bought at your local apple orchard. The Grafton Inn in Grafton, VT has their own take on apple pie. You can pretty much use any apples but Granny Smiths hold together well and has a good tartness for pies. It is best served with a scoop of vanilla ice cream or Grafton Cheddar Cheese. Par-bake bottom pastry sheet for about five minutes at 375 degrees. 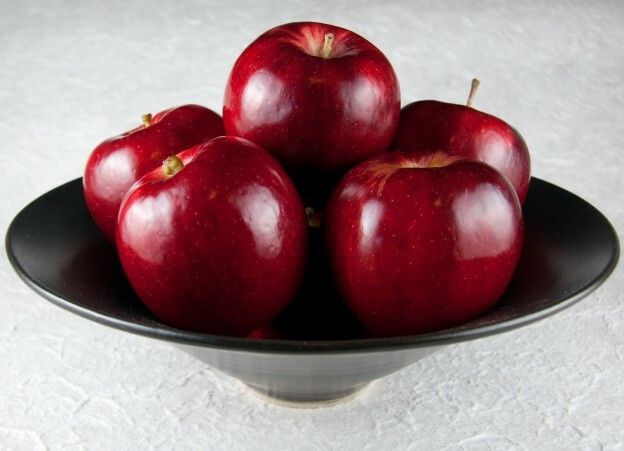 In a mixing bowl, toss apples and all remaining ingredients (except egg). 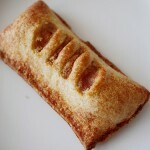 When pastry comes out of oven, place apple mixture onto pastry, leaving about one inch of pastry exposed. Put on top layer of pastry and press down all the way around, creating a tight seal. Add a few small vent holes in top center, brush top with beaten egg wash and sprinkle with cinnamon and sugar. Bake at same temperature for about 25 minutes or until dark golden brown. Let cool for about half an hour and serve with vanilla ice cream or Grafton Cheddar. Enjoy with a nice cold glass of Vermont’s Woodchuck Hard Cider. Stay tuned for another great apple recipe! This entry was posted in Food, Now Trending, Things To Do on October 16, 2015 by Linda Cassella.